The facility manager was discussing the many benefits of a recently completed “energy efficiency” upgrade at his manufacturing plant. The Energy Alliance Group of Michigan (EAG) was the project developer and the conversation was a post project debrief. Notably absence from the manager’s comments were any mention of saving energy or lower utility bills. The value of the benefits the manager described (dramatically less noise, zero loss of production, reduced maintenance, etc.) had nothing to do with energy and appeared to be far more noteworthy. These added benefits were so significant saving energy had become relatively unimportant to the client and not worth mentioning! While EAG’s energy team focused on achieving the greatest reduction in wasted energy, the client’s focus was minimizing lost revenue from production disruptions caused by frequent breakdowns of his aging equipment. In this case, the financial impact of these disruptions far outweighed those of wasted energy. Even though the newly installed systems created significant energy savings, the project would have never been considered if this was the only factor. The facility manager’s concerns about production were far more financially important. While there is a growing push by communities to reduce the use of energy, saving energy alone does not typically meet the financial benchmarks most companies use when deciding to spend capital. Threats to levy a fine on building owners who don’t initiate energy savings does not change the financial decision criteria. To foster energy savings in lieu of fines, an awareness of the resultant benefits associated with efficiency upgrades must gain more attention. Those benefits have been proven in countless studies to be far more compelling. Because energy savings is often only a small percentage of the total cost of doing business, making a decision that improves productivity and production is much easier. Productivity increase – a small increase in overall staff productivity from improved comfort, reduced noise or better lighting often generates revenue that dwarfs the marginal benefit of efficiency upgrades. Reduced maintenance – accounting benchmarks often take into consideration only the “first costs” of efficiency projects. A reduction in maintenance is ignored even though it yields dramatic dividends via a long term expense reduction and increased production uptime. Building value – According to the U.S. Department of Energy, “The average commercial building wastes 30 percent of the energy it consumes.” Reducing waste increases Net Operating Income (NOI) which drives a building’s market value. Improved Cash Flow – wasted energy represents money that is already being spent. 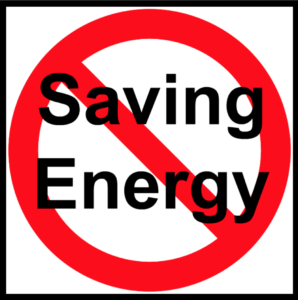 Reducing wasted energy improves cash flow and the savings, along with energy specific financing, can then be used to pay for the upgrades with no additional expense. Since in many cases the energy savings are greater than the entire cost of the project, essentially it is a “free” upgrade. As communities and business leaders continue to focus on ways of reducing the use of energy it becomes vital to educate decision-makers about the many benefits energy efficiency brings to their businesses beyond simply lower utility bills. If corporate decision-makers understood the added financial benefits energy projects typically create, they would be much more likely to look at them as a tool for achieving overall business goals. When energy efficiency is perceived as a driving factor of other business financial metrics, saving energy will never be viewed as not critical again.